MorrisC8FAT on this forum would have a better idea because I think he is related to the owner, (sorry if I'm wrong D!) The guy has two different Mungas, a 4 and an 8, if I'm right. One of which is very rare. I'm not a Munga guru. I didn't snap them Saturday because the sun was in the wrong place, James was impatient to move on and there were two blokes having a very close look who were not in a hurry. I've got other Munga snaps somewhere in my library, what are you looking for???? Hi snapper i am basically arfter any pictuers of any mungas be it 4 or 8 as i have one which i am doing up and would just like to have some pics of them so what ever you have would be great thanks very much. Bob Day has two Mungas - a Munga 4 and a Munga 8. 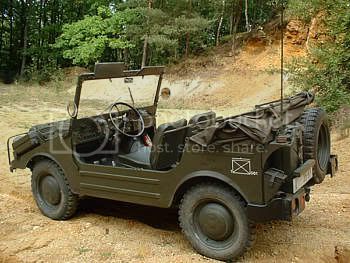 There is a chap called Dave I think who purchased my old Munga 8 and lives near Maidstone. It was at War and Peace this year. When I purchased it, it was fitted with an Astra engine and it was a right bodge up. The engine mounts were welded M10 bolts - (scary). I restored it with an original 2 stroke, 3 cylinder engine. 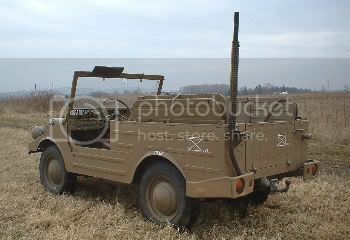 Also had a 1952 German air portable Munga 4. Never got round to restoring that one. 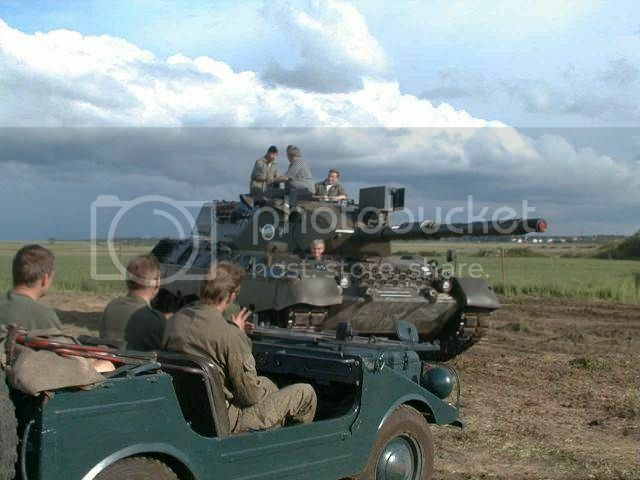 Mungas are great fun and an excellent way into military vehicles. Cheap at the moment but the prices are creeping up as they become more widely known. There were a few at W+P this year and a couple for sale. Nearly tempted to get another one. Andy Roberts is your man for Mungas. Knows basically everything there is to know about them. He is on the forum. & some Iltis pics for Snapper..
Edited December 16, 2008 by Marmite!! Great to see what you had been talking about in the previous messages. 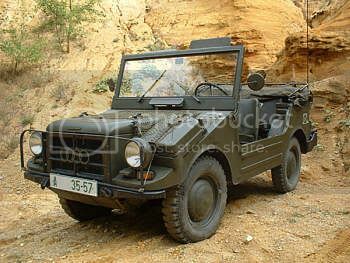 Hows it compare with an MB ? 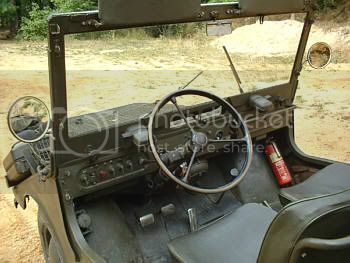 like the Munga's ride , handling, ease of repairs? Oh and that was a great shot of double stacking them , lower one didn't seem to be minding the extra weight all that badly . 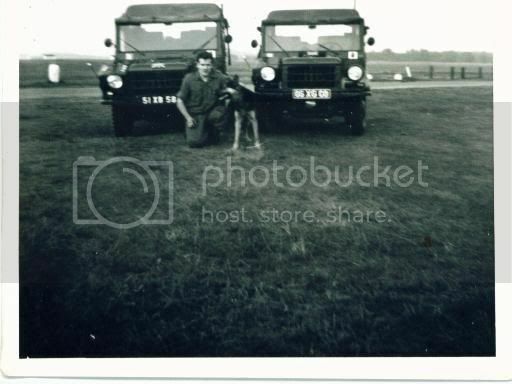 Well i wish i could tell you what they drive like but mine dosnt run to great at the mo but the parts are readly availabe from Germany and they are fairly easy to repair as the engines are straight forward anoth as they are a two stroke engine but will keep you up dated. Thank you I ll be looking for the reports as you post them , 2 stroke ? 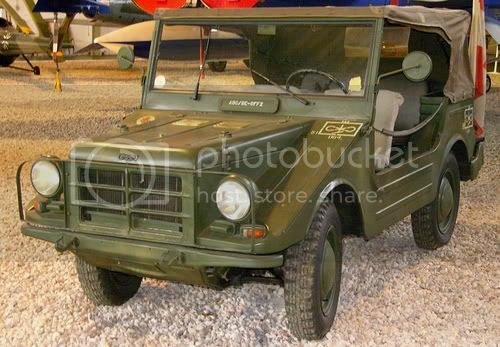 mmmm cant think of any other military vehicle that uses one at the moment would make a great trivia question ! The Munga will outdo any other vehicle off road - and that includes Jeeps. Don't just take my word for it - it's a fact. They are bundles of fun, easy to maintain and pretty cheap to buy. 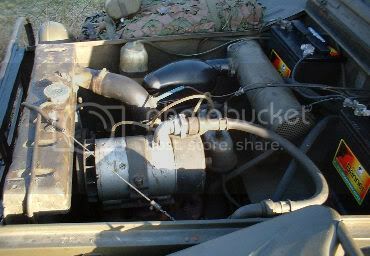 By the way - does my FV432 count as a two stroke - I think it does. I think that Russian BAT at W&P counts as well???????? Yes, the 432 is a 2 stroke. Well I guess 2 strokes in military use are much more common than I had thought. 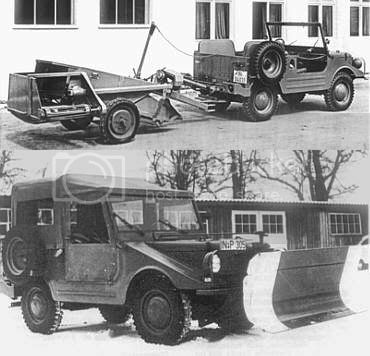 The F91-4 (MUNGA), was designed to be simple to repair from the start. Most parts are interchangable, like drive shafts etc. A clutch change is, two men 1/2 hour by the book! 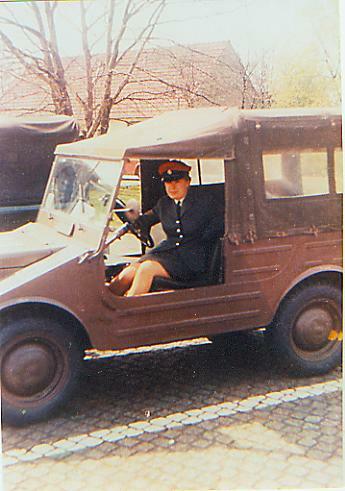 A chap I know was a driver in Germany in the late 50's. 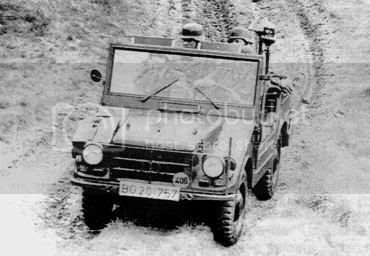 At one time he had a chance to drive Jeeps, Champs, Landrovers, etc and of course the MUNGA. He said the MUNGA was better on road, and off road than all the others. MOD, did look into buying them for the whole of the MOD. 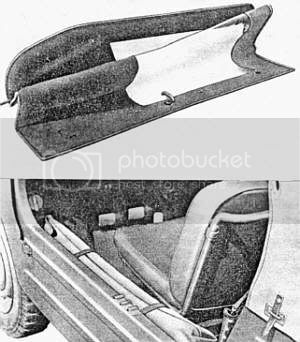 6 and 8 seat types were only produced in small numbers, but have the same running gear and chassis. Getting and keeping the two stroke plant running is a bit harder that a four stroke. But once you have the knack it's worth the effort. Top speed road, about 60 MPH. With four up, most hills are simple as long as you keep the revs up. All that from a little under 1 ltr, but like all 2 strokes it's all top end power. If you drive it like a four stroke you will soon be in trouble. And expect to turn heads! I took mine to a local american car show, and spent most of the day with the bonnet up or running people about. Have a look at MUNGA-IG.de. Has anyone noticed the amount of Mungas on UK ebay at the moment? Is there a season for them, like grouse shooting? There seem to be a lot for sale generally. Maybe they have reached the point where only serious owners stick with them. Lovely little things. 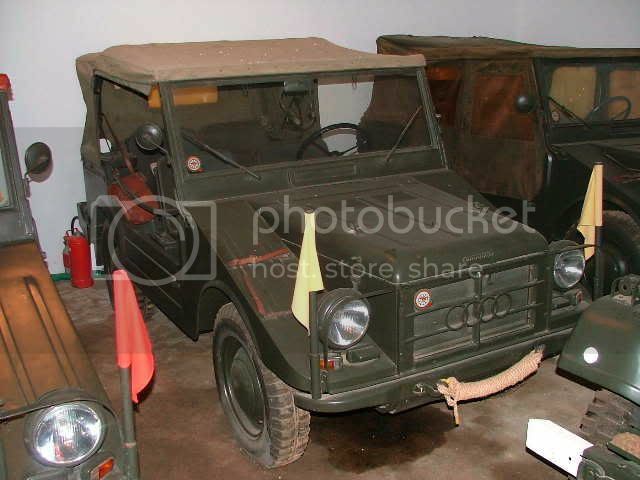 I'd have one or two in my lottery powered fleet....just waiting :-D I would, of course, have another Iltis. Fond memories. 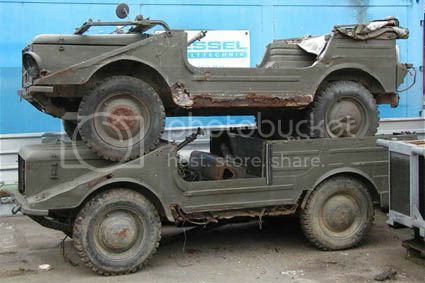 I think MUNGAs are coming on to the market just like other vehicles. Very wet summer, money short, lack of time, etc. Lots of kit cars, and "custom" cars are on the market as well. 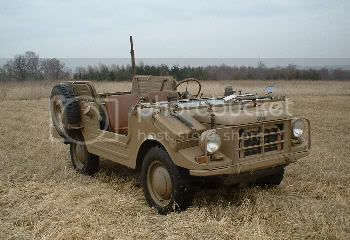 If anyone sees a MUNGA for sale, please pass on my contact details. I will help any buyer with info and spares etc. 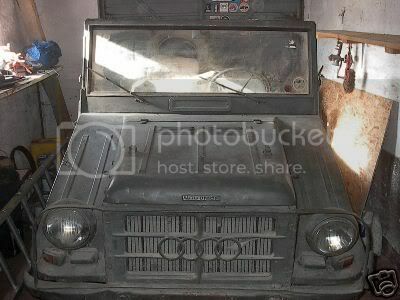 I've got a Munga 4 which is currently under restoration. I belong to the DKW owners club, but it's like pulling teeth trying to get any kind of help from them... so i'm sort of stabbing in the dark myself. I know that Kemper Parts/Spares do replacement bits and bobs, but I need to track down a master cyclinder for mine? any ideas? To tell you the truth i've seen them done up in nato green with a few bits of netting on for effect to fire support cars!!! with the flashing lights. It seems that they were used for everything and anything.. but i could be wrong. I've yet to find any original pictures and very limited resorces in english. So if you or anyone else has any pointers they would be very welcome this way. Mine breathes life and think it has the original engine in it or so an expert eye told me?? Are you going to post any pics? Have you thought about sending the MC away to get it reconditioned? 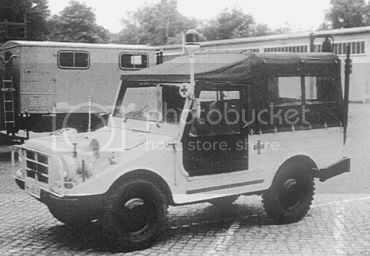 Here is a picture of my old Munga 8. 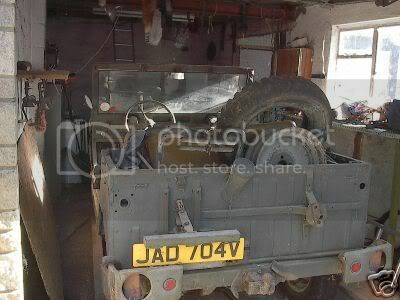 I sold it to a chap in Maidstone who has had it for about 3 years. 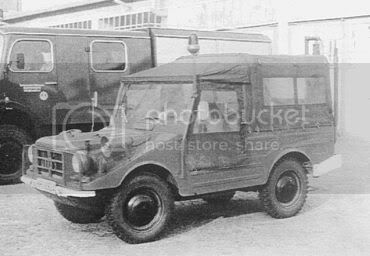 Now he has brought a Bedford so the Munga 8 is up for sale again. When I brought it - some wally had put an Astra engine in it - the steering was to say at best interesting. I converted back to it's original 3 cylinder, 2 stroke engine. 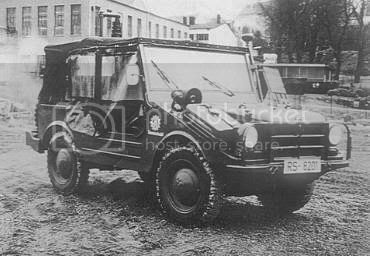 When I was into the Munga scene, they were a rare vehicle but at this years W+P show, there were lots of them running around. 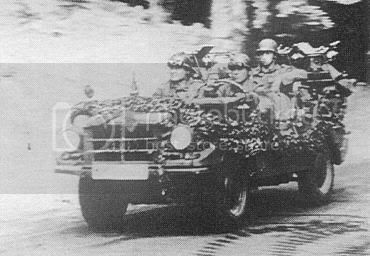 when were the Mungas used by the Berlin Brigade cast off? And another, did RAFG have any? 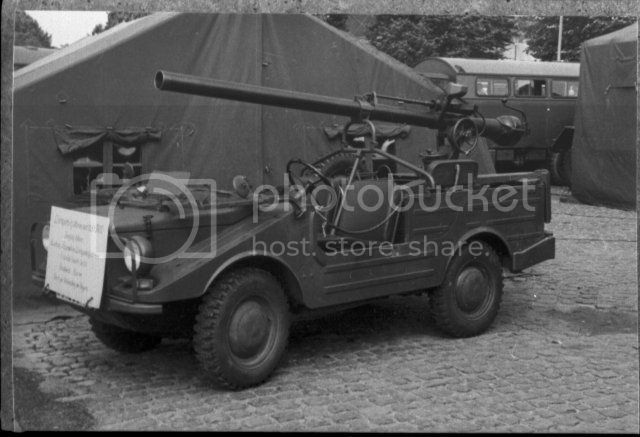 I know they used a lot of German trucks etc.